At the GPU Technology Conference 2013 show in San Jose, Audi announced some of its plans for its Cars of the Future, The Register reports. 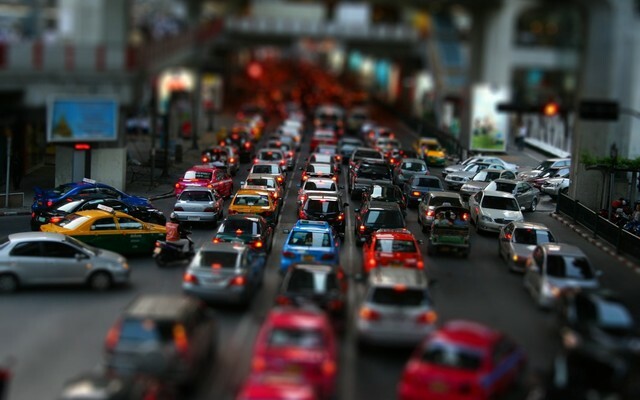 One of the coolest ideas: cars that can predict where traffic will be, so drivers can avoid it. The amply named Predictive Traffic function would mine traffic records and current reports, including social media, as well as scheduled events like sports games that could bring cars to a standstill. The system, under Audi's plan, could also predict a driver's most likely destination based on their traffic history. Pretty neat! Along with that, Audi announced a concept for a reworked directions system that would operate in a "human-like" way, giving directions based on landmarks instead of streets. A Smart Parking feature would work similarly to the traffic-predicting system, but do it for parking spots: mapping out available spots and prices for those spots, rather than making you drive around in circles hunting one down. We don't have too many details yet on exactly how these systems would work, but since Audi did make a self-driving car, hopefully we'll see these projects come to life soon, too.